the velvet bird: We're Moving! I have been wanting to share this news for so long! In January we are moving to Portland, Oregon...yay!!! I grew up a few hours away from there in Washington so it will be nice being just a little bit closer to some of my family. We like Georgia but feel like Portland has a lot more to offer us. But that's not to say there aren't things we will definitely miss about living here. I am not really going to be going on tour with Patrick anymore, and it would get pretty lonely out here in the woods for me. I love love love touring and it allowed me to see pretty much every state and meet so many amazing friends. But it is kind of hard not being able to work on anything of your own (like dresses!). YES! I just moved to Portland about two months ago and love it so much already. Can't wait to have you here! good luck with packing & moving!! Ooh, so excited for you! 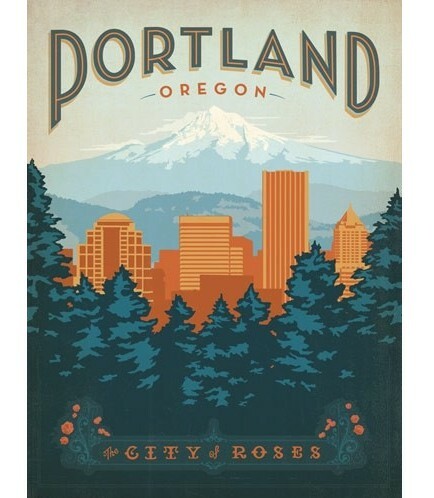 I was born in Portland and grew up there, and miss it sooo much. Every time I visit I can't wait til I can move back. You'll love it, though moving across the country is one of those things that is not very much fun. Im going to be singing that Lorette Lynn/Jack White song for the rest of the day now. Very exciting though, Portland looks choice as! Ohhh how exciting! I grew up in White Salmon, WA (like an hour east of Portland on the Columbia River) and now I live in Seattle. I always love when people move to the Northwest. It really is the greatest. I hope your move goes smoothly!! How cool! What a great place to move to! Good for you! I've been following your blog for quite sometime. Its great that your moving here, its a lot of fun! You must sell your dresses at Crafty Wonderland! Can't wait to see another crafty soul come to Portland! Oh congrats Vanessa! Wishing you all the best with your move and can't wait to see all your new dresses! I came across your blog through The Dainty Squid, and I am so excited that I did. My boyfriend and I live in Savannah, Ga and we were also thinking of moving to Portland. Now I am some view of the city without traveling there yet, YAY! Yay! Back to the PNW! I live in portland! Fantastic choice I must say. I should meet you sometime :) I hope the move goes smoothly.